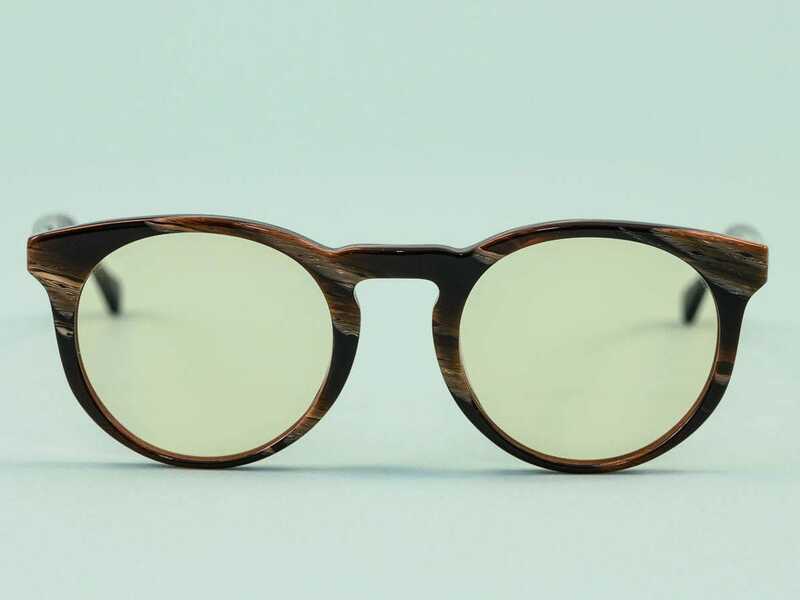 Felix Gray`s Sleep Glasses are a step up from regular blue-light-blocking glasses. Designed for screen-gazing before bedtime, I`ve found them to serve as a better solution to the general horrors of corporate office lighting — a solution I can`t put a price (95) on. By a show of hands, who enjoys facing the incessant blare of a computer screen all day? That`s what I thought. You may be privy to blue-light glasses, simple frames that diffuse blue light, or the rays that come off a computer screen which, along with all the other wavelengths, drive our eyes toward nearly obliterative exhaustion. They`re great. I began wearing them shortly after my foray into office life last year, and I went from having an urge to spend weeknight evenings in a blackout room to strutting out to the waterfront to soak up the last fervent rays of the summer sun. For that, I can`t praise ZENNI and their Blokz Blue Blockers enough. But there`s a new kid in town. 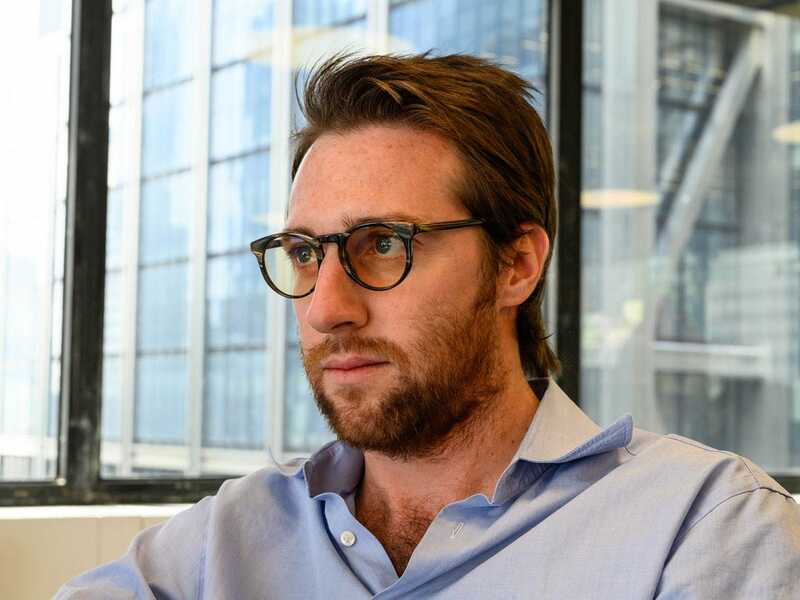 A few weeks ago, my editor handed me a pair of Felix Gray "Sleep" Glasses to wear while I was on the computer at night, before bed, as a sort of transitional lens from working day into night — they run us around the clock here. No, on the contrary, she intended for me to use them while watching Netflix. But, unbeknownst to her, while I have a Netflix account, I`m not sure of my password, or, for that matter, why I`m still paying 9.99 a month for something I don`t use. I also tend to shy away from screens after office hours. I got to thinking about how much I dread the daily effrontery to all things civil and decent that is the fluorescent lighting in the Business Insider offices, which, as someone who hadn`t so much as set foot in an office before the ripe old age of 30, I`ve found to be nothing but a nuisance and a hindrance, at best. Well, no. Not on its own, and not in natural doses. During daylight hours, according to Harvard Health Publishing (Harvard Medical School`s newsletter), blue-light wavelengths promote focus, mood, and quicker reaction times, which, I`ve gleaned, are all things we (or, most of us) strive toward within the confines of an office. But, Harvard Health Publishing explains, "Although it is environmentally friendly, blue light can affect your sleep and potentially cause disease." The article goes on to point out that humans, of course, aren`t historically used to seeing much light after the sun goes down. Blue light, compared with that which comes from traditional incandescent lightbulbs, is a particularly short and potent wavelength. What all that boils down to, says Harvard Medical School`s Director of Sleep Medicine, Charles Czeisler, Ph.D., M.D., is that such excessive artificial light can have "profound, deleterious effect on many aspects of human health." It turns out that, according to the New York Times, they`re probably not wrong. While I was (and still am) dubious about the brand`s claim that its sleep lenses are "clinically proven to increase melatonin secretion," I do have the feeling that they`re performing no small amount of damage control. With 10 styles that come in up to four colorways each, you`ll find something to suit your ugly mug without too much trouble. I did. 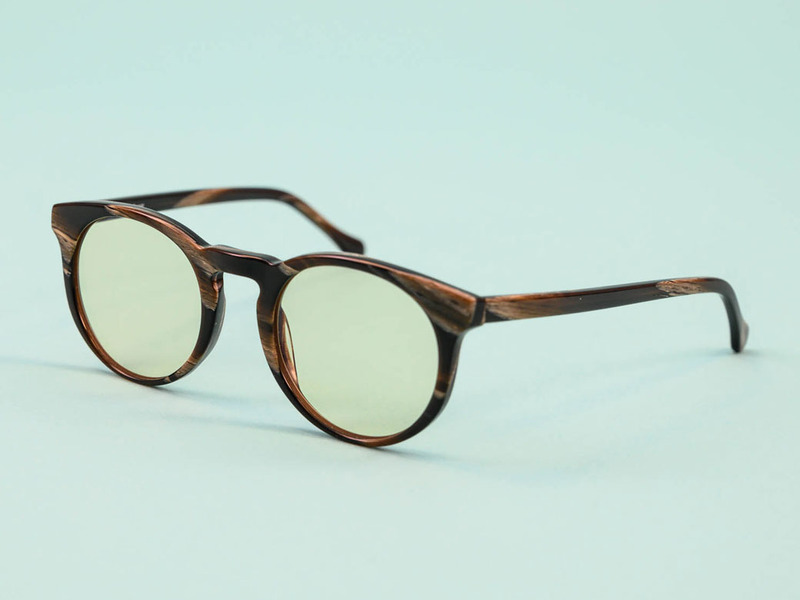 Each pair of frames is named after a scientist, logician, mathematician, or inventor of some sort or another, too, so if you`re having trouble deciding, just follow suit with your greatest hero. Ironically, or maybe not, I went with the Alan Turing, whom Felix Gray defines as "the godfather of modern computer science." And, Felix Gray offers them with reading lenses (also 95) or your prescription (just 145). So, as long as I`m office-bound, these new "sleep" glasses are my trusty office glasses, and they do not leave the office. Heaven forbid if I were to find myself beneath the oppressive glare of these orbs without anything keeping them and their wrath at bay, I`d surely be homeward bound in short order. Apart from not being as inexpensive as many other blue-light-blocking glasses, the only (slight) issue I`ve encountered is that the lenses, with their soft-sulfur tinge, lend a slightly jaundiced look to your visage. But that`s not really such a big deal, and yellow, for one thing, is just not a particularly good color on me (ask my mother, if you don`t believe me). If yellow doesn`t compliment your complexion, either, then ask yourself this: Do you really care what your already-offensive computer screen thinks about the way you look? Didn`t think so. If you`re afraid of what colleagues might say, simply take them off when you leave your desk. If you or someone you know is experiencing any such similar discomfort in your place of employment, or as you binge-watch Netflix after a hard day`s work, know that you`re not alone, and there are solutions. Starting at 95, they`re not cheap, and they only go up in price from there (prescriptions, etc. ), but if you`ve been staving off fits of blue-light-induced rage as I have, you can`t put a price on this kind of salvation.